As most of you already know, I love to travel. Since I was a child, discovering new places and learning about the world has always excited me. As I have gotten older and traveled to more places, I also discovered my love for wine, and although I have visited several wine regions all over the world, I only recently got to experience Argentina’s! If you saw my November #INsider takeover, you would have seen snippets from my press trip with Copa Airlines. Having just established a new route to Mendoza, Copa now offers direct flights from Toronto to Argentina’s wine country and your girl was invited to experience it first hand! Getting invited on this press trip was a big deal for me, especially since it meant combining all my favourite things, blogging, traveling and, well, wine of course. After spending 3 jam packed days in Mendoza I am back in Toronto to share my highlight and recommendations with you! So lets jump right into it shall we. As I mentioned before, Mendoza is Argentina’s primary wine region. Although it is known for its many red varietals, Argentina is famed for being the king of Malbec. Having tasted a few bottles myself, my number one recommendation for traveling to Mendoza is pack light because you will want to have room to bring back wine! One of my favourite wineries of the whole trip was Bodega (meaning winery) El Enemigo. As soon as we arrived at the winery, I hopped off the bus and was in Instagram heaven. Surrounded by rows upon rows of grape vines, the El Enemigo winery has the most relaxed and beautiful ambiance. It’s a place you will definitely want to hang out at for a couple hours. I suggest making an entire morning or afternoon of it. 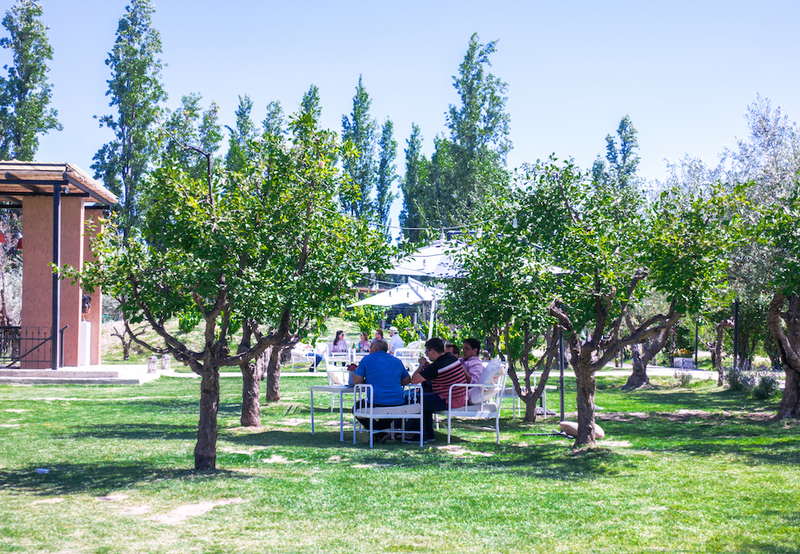 Once you have tasted and chosen your wine, you can move to their outdoor seating area and spend the next couple of hours sipping and basking in the beautiful Argentine sunshine. If you get hungry or need a little more action the winery also has a restaurant (more to come on this later) and does a small winery tour where you learn a little about winemaking, the history of the winery, and their continuously changing art gallery. Since this winery is pretty much located right in the city of Mendoza, it did not feel like the other wineries I visited as it was not surrounded by rows upon rows on vineyards. But what it lacks in country feel, it makes up for in ambiance with it’s beautiful entrance, grounds, and restaurant. 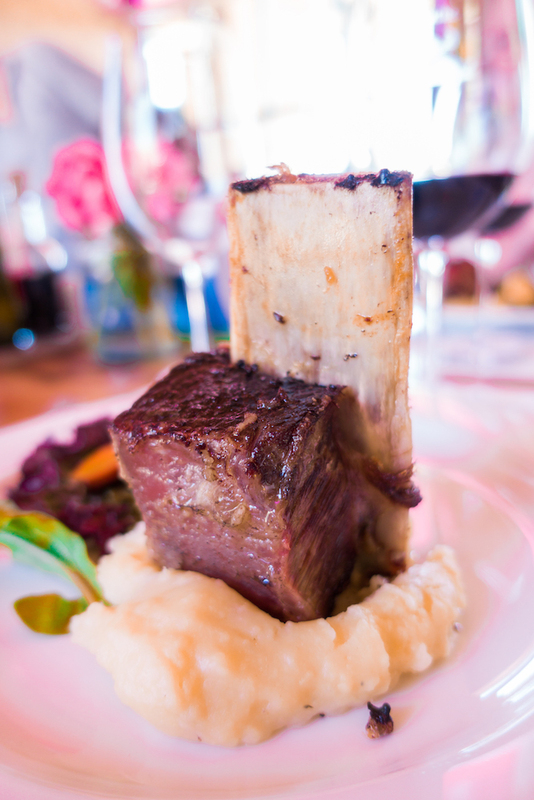 As a matter of fact, by the time I had visited this winery, I had made the connection that wineries in Mendoza believe that to fully enjoy a wine you have to pair it with food. Both Los Toneles and El Enemigo do an excellent job at not only letting you taste their wine but encouraging you to fully enjoy them by also housing a delicious restaurant on property. The wine here was excellent and I would definitely recommend going for an afternoon of drinks on the restaurant patio and dinner! This was definitely the biggest and commercially successful winery we went to. Bodega Septima is actually 1 of 10 wineries belonging to the Revantos Family. With over 5,500 hectors of land (meaning rows of grapevines in pretty much every direction you look) Bodega Septima produces 3,000,000 bottles of wine annually. INSANE! 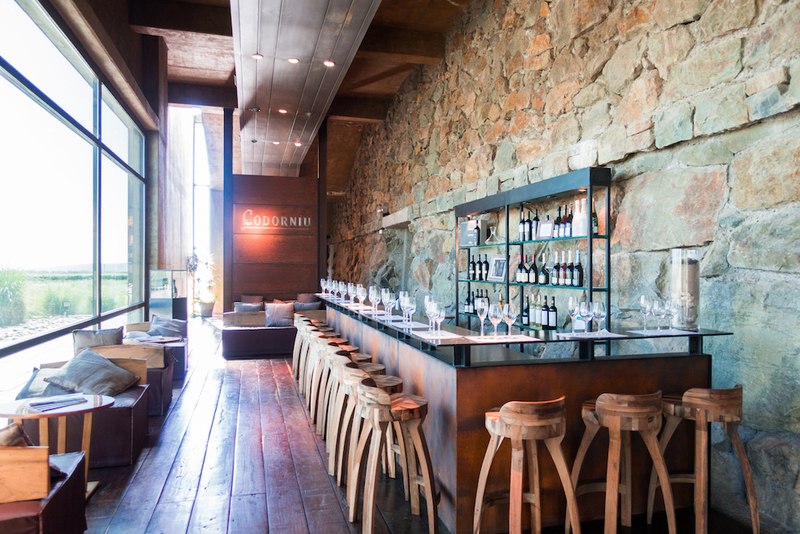 Unlike the other two wineries, Bodega Septima’s tasting room and facility is massive and although it doesn’t share the same comfortable ambiance you experience at smaller wineries it still, surprise surprise, also features a restaurant. Although I did not eat at the restaurant, I did get to experience their rooftop patio where they host sunset tastings – a feature which was most notable to me because it was the only place I found in Mendoza where you could experience a beautiful sunset over the Andes Mountains. 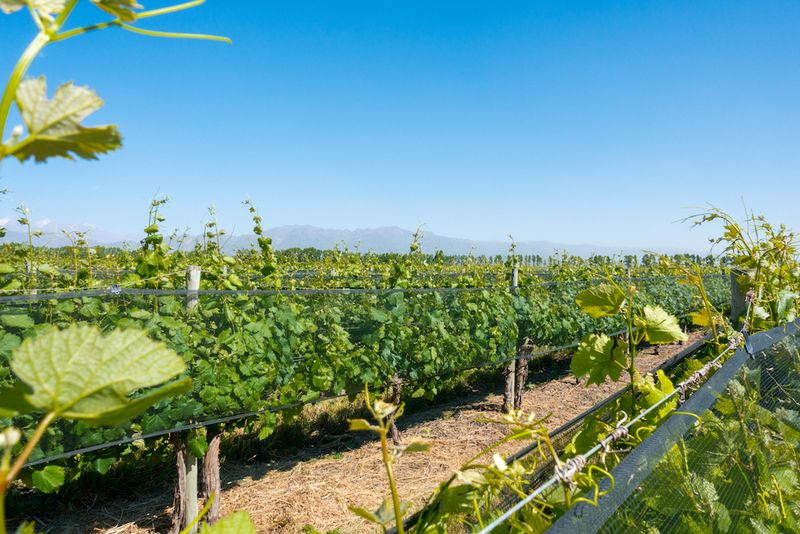 Although this is only the tip of the iceberg in terms of what you can expect from Argentina’s wine country, it is definitely a place I would recommend going to discover. When gathering your group of girlfriends or coercing your favourite partner in crime you can highlight these two spots as great places to stay! The Park Hyatt is one of the most luxurious properties in Mendoza. That is to say, Mendoza doesn’t have a lot of fancy hotels. As a matter of fact, Mendoza city is actually still very small and since most of it’s economy comes from it’s surrounding wine region, there aren’t many exciting activities to be had in the city during the day. The Park Hyatt is very centrally located, features a beautiful art deco facade and is located across from Mendoza’s Plaza Independence. It is also a 10 minute walk to Aristidas Villanueva Street, a promenade of bars and restaurants where Mendoza’s nightlife really comes alive. If you are looking for a place to stay in Mendoza proper with all the comforts we usually associate with an global hotel brand like a pool, nice restaurants, a bar, and good wifi, I would definitely recommend the Park Hyatt. Entre Cielos is the perfect hotel for any couple looking for a relaxing environment where they can spend some quality time together. 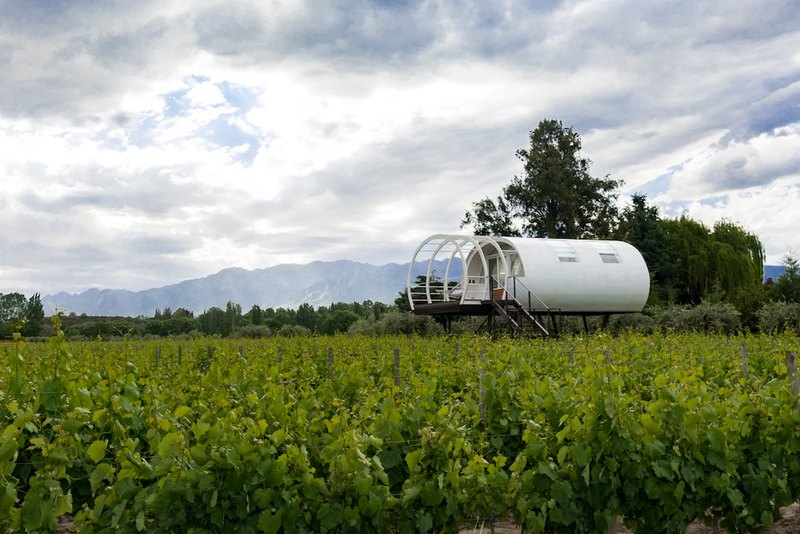 This luxury, modern, 16 room boutique hotel makes their own wine (which is pretty good if you ask me), has a hammam spa, and the coolest ‘pod’ guest room that hovers above their vineyard. Since the hotel has such a small capacity, the grounds felt very quiet/private making it perfect for honeymooners or people interested in getting away from a more chaotic city life. 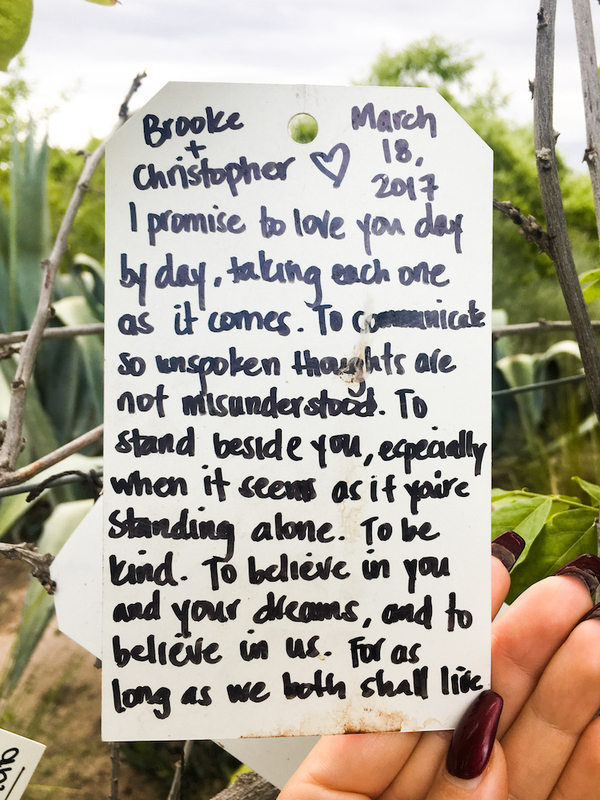 I also noticed that on the way into the hotel there was an archway filled with little notes of well wishes, messages of love, and even wedding vows, left by previous guess. I was literally getting teary-eyed reading some of them – just too cute! Argentina may not be the best destination for any vegans or vegetarians because it is well known for their cattle industry. Cattle ranching is a very important part of the Argentine identity and economy and they take their beef very seriously. With that being said, prepared to be stuffed because there is gonna be meat, and lots of it. If you are going to visit the winery, I definitely recommend hanging around for a bite to eat. Lunch here is amazing and even though they do serve meat (and it’s delicious), they also were the only place that had more vegetarian options as well. The food was great and paired well with their wines. 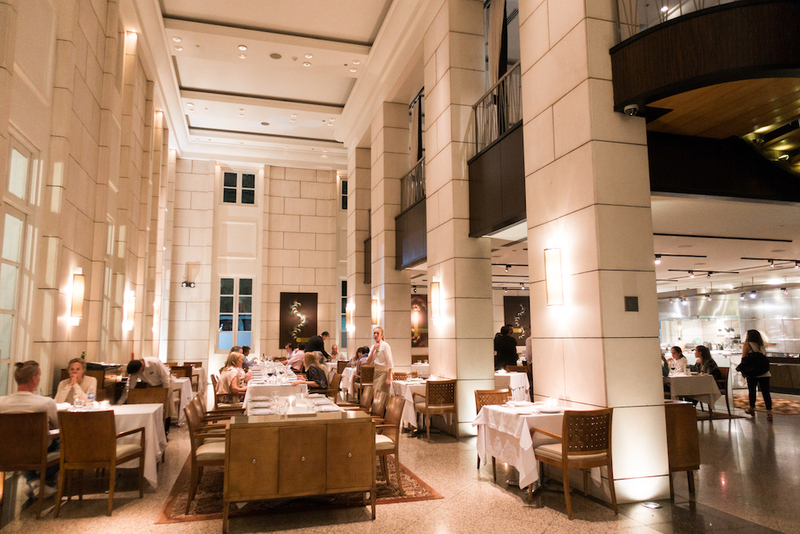 The ambiance is beautiful, modern and very bright, thanks to their stainless tile windows. I also noticed that they had a small private patio section which I imagine would be a beautiful spot for lunch on a nice summers day. The meat we had as our main was delicious, juicy and cooked to perfection. The poached pear and dolce de leche dessert literally rocked my world. I absolutely loved this place, make your reservation in advance because its a MUST when in Mendoza. Talk about the best steak of the entire trip! This place knew how to cook their meat – and even for someone who wasn’t that hungry, I couldn’t stop eating. The restaurant is located in a renovated warehouse space that feels spacious, rustic, yet modern. It also has a great outdoor elevated patio where, if I had been with friends, would of surely enjoyed a pre dinner cocktail and taken some photos! 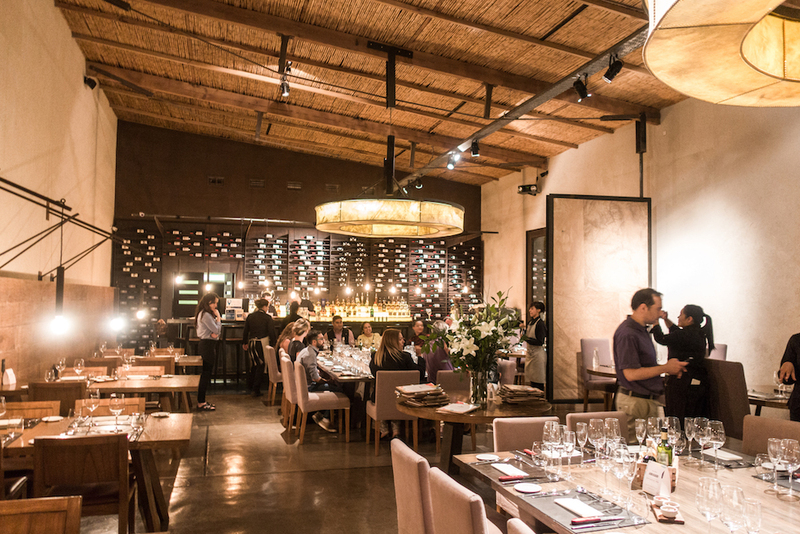 Located in the city of Mendoza, this is an easy dinner spot to check out. The wine list is composed entirely of wine they produce themselves, making the restaurant a perfect way to taste and purchase their wines even after the tasting room has closed. This place was definitely one of my favourite meals during the trip that even though and couldn’t resist buying another bottle from the restaurant. So, there you have it!! Mendoza done right! I hope this post inspires you to visit Mendoza. I know if I have the opportunity to go back again, I would do it in a second. If you have any questions or comments about my trip please feel free to reach out at soheila@SoheilaOnline.com. You can also check out my other travel guides on my website www.SoheilaOnline.com. What is a Skin Cleanse? Soheila Hakimi is one of Toronto’s leading lifestyle bloggers. Her blog www.SoheilaOnline.Com covers a wide range of lifestyle topics including food, travel, events, fashion and beauty! There is never a dull moment with this content creator - always on the move, sharing the most delicious recipes and restaurants, and recommending new products. It is no wonder why we look to her to find out what is new and inspiring!